LOS ANGELES (Dec. 10, 2014) — Nominees for the 21st Annual Screen Actors Guild Awards® for outstanding performances in 2014 in five film and eight television categories, as well as the SAG Awards® honors for outstanding action performances by film and television stunt ensembles were announced this morning in Los Angeles at the Pacific Design Center’s SilverScreen Theater in West Hollywood. SAG-AFTRA President Ken Howard introduced Ansel Elgort ("The Fault in Our Stars," "Divergent") and actress/director/producer and SAG Award® recipient Eva Longoria, who announced the nominees for this year’s Actors®. SAG Awards® Committee Chair JoBeth Williams and Vice Chair Daryl Anderson announced the stunt ensemble nominees. 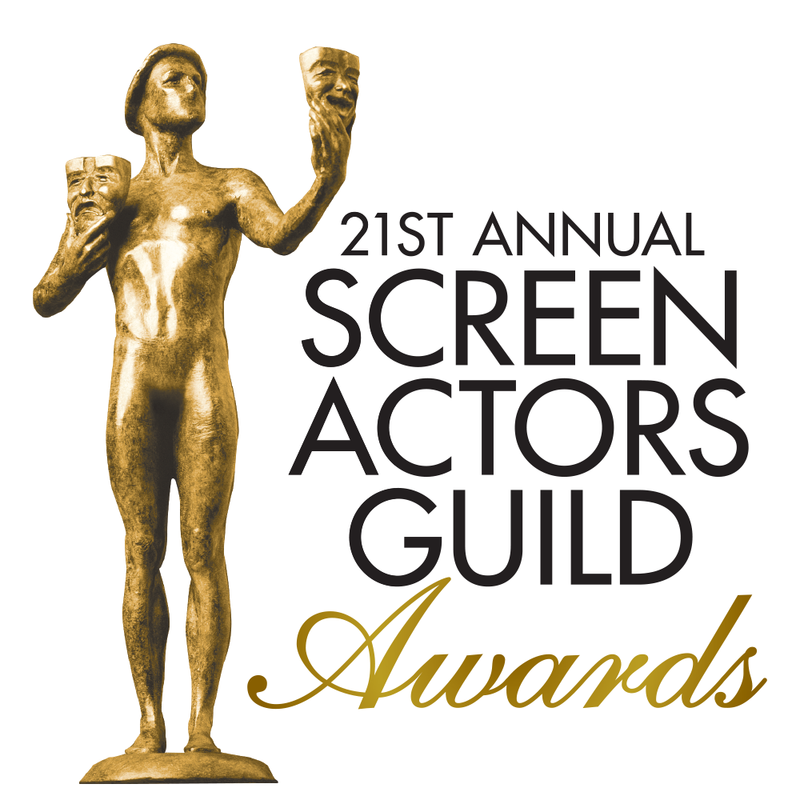 The 21st Annual Screen Actors Guild Awards® will be simulcast live nationally on TNT and TBS on Sunday, Jan. 25, 2015 at 8 p.m. (ET) / 5 p.m. (PT) from the Los Angeles Shrine Exposition Center. An encore performance will air immediately following on TNT. The SAG Awards® can also be viewed live on the TNT and TBS websites, and also the Watch TNT and Watch TBS apps for iOS or Android (viewers must sign in using their TV service provider user name and password). Recipients of the stunt ensemble honors will be announced from the SAG Awards® red carpet during the sagawards.tntdrama.com and People.com live Red Carpet Pre-Show webcasts, which begin at 6 p.m. (ET) / 3 p.m. (PT). Of the top industry accolades presented to performers, only the Screen Actors Guild Awards® are selected solely by actors’ peers in SAG- AFTRA. Two nominating panels — one for television and one for film — each composed of 2,200 randomly selected union members from across the United States, chose this year’s nominees. Integrity Voting Systems, the Awards’ official teller, mailed the nominations secret ballots on Wednesday, Nov. 19. Voting was completed at noon on Monday, Dec. 8. Final voting information will be mailed via postcard on Tuesday, Dec. 16 to 111,228 eligible SAG-AFTRA members across the country, who may vote on all categories. Online voting is encouraged. In keeping with the SAG Awards®’ commitment to sustainable practices, paper ballots will be available only upon request, which must be made by Wednesday, Jan. 7, 2015. All votes must be received at Integrity Voting Systems by noon on Friday, Jan. 23. Results will be tallied and sealed until the envelopes are opened by the presenters at the 21st Annual Screen Actors Guild Awards® ceremony on Jan. 25, 2015. The complete list of nominations for the 21st Annual Screen Actors Guild Awards® follows. MALE LEAD – "The Imitation Game"
MALE MOVIE/MINISERIES – "The Normal Heart"
JULIANNA MARGULIES – 8 Actors® (4 for individual performances and 4 for ensemble performances) 2011, 2010 – FEMALE DRAMA – "The Good Wife"
1999, 1998 – FEMALE DRAMA – "ER"
1999, 1998, 1997, 1996 – DRAMA ENSEMBLE – "ER"
2007 – MOTION PICTURE CAST – "Little Miss Sunshine" 2007 – COMEDY ENSEMBLE – "The Office"
2013 – MOTION PICTURE CAST – "Argo" 2013 – MALE DRAMA – "Breaking Bad"
2001 – MOTION PICTURE CAST – "Traffic" 2001 – MALE SUPPORT – "Erin Brockovich"
2007 – FEMALE LEAD – "The Queen"
2007 – FEMALE MOVIE/MINISERIES – "Elizabeth I"
1996 – MOTION PICTURE CAST – "Apollo 13" 1996 – MALE MOVIE/MINISERIES – "Truman"
MOTION PICTURE CAST – "The Imitation Game"
2014 – MOTION PICTURE CAST – "12 Years A Slave" 2014 – MOTION PICTURE CAST – "August: Osage County"
2006 – MALE SUPPORT – "Brokeback Mountain"
2006 – MOTION PICTURE CAST – "Brokeback Mountain"
MOTION PICTURE CAST – "Birdman"
2008 – MALE MOVIE/MINISERIES – "The Company"
MOTION PICTURE CAST – "The Theory of Everything"
2013 – MOTION PICTURE CAST – "Les Misérables"
1996 – COMEDY ENSEMBLE – "Friends"
2003, 2002 – FEMALE COMEDY – "Friends"
2004, 2003, 2002, 2001, 2000, 1999 – COMEDY ENSEMBLE – "Friends"
JULIANNE MOORE / "Still Alice"
2006 – FEMALE LEAD – "Walk the Line"
ROBERT DUVALL / "The Judge"
2011 – MALE LEAD – "Get Low"
2002 – MALE SUPPORT – "Training Day"
2011 – MALE SUPPORT – "The Kids Are All Right"
2011 – MOTION PICTURE CAST – "The Kids Are All Right"
2011, 2010, 2009, 2008, 2006 – DRAMA ENSEMBLE – "The Closer"
KEIRA KNIGHTLEY / "The Imitation Game"
2012 – MOTION PICTURE CAST – "The Help"
2014 – FEMALE LEAD – "August: Osage County"
2009 – MOTION PICTURE CAST – "Doubt"
2003 – MOTION PICTURE CAST – "Adaptation"
2003 – MOTION PICTURE CAST – "The Hours"
1999 – FEMALE LEAD – “One True Thing"
NAOMI WATTS / "St. Vincent"
2013 – FEMALE LEAD – "The Impossible" 2004 – FEMALE LEAD – "21 Grams"
1999 – MALE SUPPORT – "A Simple Plan" 1997 – MALE LEAD – "Sling Blade"
1997 – MOTION PICTURE CAST – "Sling Blade"